Charismania Gone Nuts – AOG Together with LDS! | Truth with Snares!? 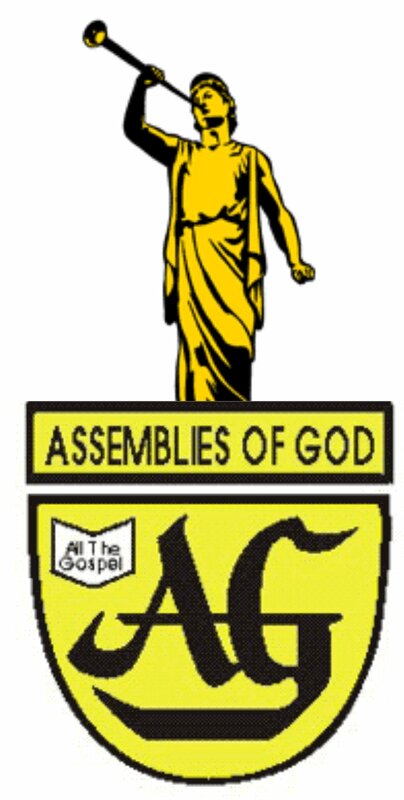 Charismania Gone Nuts – AOG Together with LDS! I did not expect to wake up to this wacky news brought to me by my friends at Stand Up For The Truth – my hat off to them getting out the warning of a new danger! “Wood expressed that the Assembly of God’s 66 million members test out their faith just like Latter-day Saints do. He urged the audience to seek a strong faith through diligent study of the scriptures. The Book of Mormon , purported by Joseph Smith Jr. to be “inspired by God,” is the most famous of specifically Mormon “scriptures.” Smith concocted the preposterous yarn that an angel named Moroni (pronounced ma-roe-nee) appeared to him in 1827 and told him of some golden plates hidden in a hillside near Palmyra, New York. From these plates, Smith supposedly translated the Book of Mormon . [Published in 1830, this was to become the first of many scriptures for the Mormon Church. By this time, Smith had also officially organized the LDS Church and was gaining a following. Over the next ten years, the church headquarters would move to Kirtland, Ohio; Independence, Missouri, and Far West, Missouri. Finally it would find a resting place in Nauvoo, Illinois.] In actuality, the Book of Mormon is a fraud, having been plagiarized from the Bible, from Shakespeare, from the pope’s Essays on Man , from the Westminster Confession of Faith, and from other leading authors of the last few hundred years prior to Smith’s death. Despite its plagiarisms, the Book of Mormon contradicts the Bible in hundreds of places (9/95, Maranatha Baptist Watchman ). Anyone who would join hands with the Mormons makes me question if they are a Christian because Mormonism is not Christian. I believer strongly the teachings of Mormonism are dangerous and anyone joining hands with them must be avoided. ← Anyone For a Good ‘Soaking’ Prayer? Just so you are aware – the quote you have from George Wood is incorrectly attributed to him. This was what the writer of the article (from the Mormon organization) wrote, NOT what George Wood said. I assume you got your info from “Stand Up For The Truth” – and they incorrectly attributed that quote to George Wood as well. I would encourage you to read the original article (if you have not already) to see this. One more point of clarification: The AOG does not use the term “CEO” for George Wood (He’s called the General Superintendent). I am an AOG minister, and i don’t know for sure, but in reading the article & the quotes from George Wood’s talk, i don’t believe he is trying to put AOG & Mormonism “together”. It appears to me that George Wood took the invitation to speak at BYU and attempted to share the Truth of God’s Word with them – even encouraging them to not rely on their experience alone, but to search out the Truth of God’s Word for their faith. I applaud Superintendent Wood for taking this unique opportunity to shine the Truth of God’s Word into a dark place (not that unlike Acts 17:16-34). Thank you for the clarification I have made the change to the opening and believe SUFTT is or has already done the same. As a unique opportunity to present the true Gospel as opposed the the false Gospel of Mormonism? I read more in that piece of Wood attempting to find common ground referencing persecution. So even giving Wood the benefit of a doubt is very difficult and considering how the writer Roberto Gonzalez for BYU perceived it. This reminds me of how some churches INVITE Mormons in to speak so their members can know the difference. Are AOG Churches going to open their pulpits to letting Mormons present their Gospel too? This is a very dangerous precedent set by Superintendent Wood. Shocked you went to BYU to speak, can you give me a link to where the message given is online? Obviously the Mormons there and the writer for BYU Universe took a different spin on things if you presented a Gospel message. But if you share the link or MP3 I will listen to it and then pass it along. I believe it was a horrible error, please prove me wrong. Sincerely..
Did Wood present they are caught up in false worship with a false Christ? If you follow Zacharias you do not “dump the whole truckload” and gain their respect first. Seriously!? Is that what the Apostle Paul did? I will listen to the MP3 or like if I get it. I am still requesting the audio of Dr. Wood from the lecture and of Dr. Land from different sources no answer yet. However, someone else posted this: http://www.truthkeepers.com/?p=228 George Wood Explains his Involvement with the LDS. Also linked on that site are letters sent to Dr. Wood questioning the AOG welcoming Ruth Barton with the concerns of contemplative prayer (so-called) addressed. Again, if I get the message from Dr. Wood’s lecture I will post a link to it here. This is the time of great deception, delusion, and apostasy. I don’t believe the state of affairs can be changed for the better. Instead, it is going to get worse. Just stumbled onto your site searching more on this topic. WOW! http://www.truthkeepers.com/?p=228 Wood and any in the AOG supporting this are way off base. I saw your gracious letters and his responses, I think the AOG has been co-opted! Perhaps the SBC and more we have yet to hear about. Dr. James White I know debated recently (caught the debate online) with some Muslims Dr. White demonstrates how the Jesus the Muslim refers to it not the Jesus of the Bible. Now apply that thinking to what is going on with Wood, Land. Mohler and Zacharias – when they walk away they claim they are preaching the Biblical Jesus. They are failing to see they are the ones being witnessed to by a “CULT” had to say CULT since that appears to be what these men have forgotten Mormons are. While working not to offend with the Gospel they are bolstering the Mormon’s faith, if you’ve witnessed to one you may know what I mean. Every point on who God is, who Jesus is must be spelled out otherwise you risk helping their cause, why else are Mormons giving these born again believers a standing O it certainly is not for turning them to the Jesus of the Bible. Read your pages on the contemplative stuff with Wood… again more reason I believe the AOG has been co-opted. I see other flavors of this among other denominations as well. So many are worried about various nefarious conspiracies — stating the obvious who needs a conspiracy? This stuff is right out in the open! Am I saying these men are these? They are certainly giving that appearing to be deceived very sad indeed! National Association of Evangelicals (NAE) Or “National Association of Neo-Evangelicals”? | Truth with Snares!? Southern Baptist Leader Dr. R. Albert Mohler to “Dialogue” with Mormons!? | Truth with Snares!? Dr. Albert Mohler Standing Together with the Sun and Moon People Cult (Mormons)!? | Truth with Snares!? Apprising Ministries – Liberty University Defending Glenn Beck At Its Convocation | Truth with Snares! ?